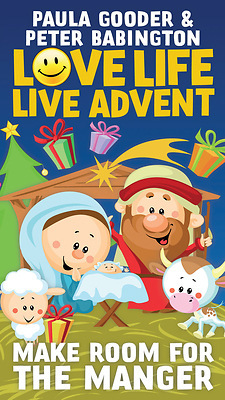 Make room for the manger this December with Love Life, Live Advent, an all-age resource to help children and families celebrate the run-up to Christmas. Following in the footsteps of the popular Love Life, Live Lent, Love Life, Live Advent provides a simple prayer activity for children and families to do together, every day of December until Christmas Day. Brightly illustrated throughout, it is designed to heighten a family's anticipation of Christmas and to enrich everyone’s understanding of this season of waiting and preparation.